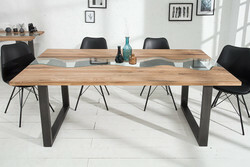 Luxury and Brock dining tables made by Casa Padrino turn your premises and interior projects into true luxury oases. Casa Padrino, your specialist dealer for baroque furniture, antique furniture, luxury furniture, country house furniture and many other furniture styles, offers you numerous Baroque dining tables in various variants in abundance. 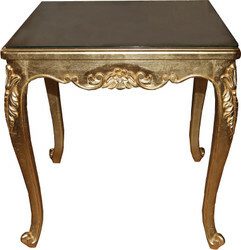 With us you will find phenomenal, noble and pompous baroque dining tables that suit you exactly. 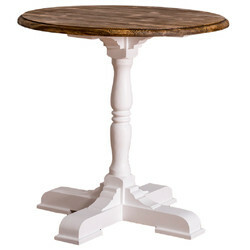 Dining tables are often the communicative centerpiece of your home. Here breakfast is served, lunch and dinner eaten, talked, laughed and discussed with each other. In addition, a festive dinner on a beautiful baroque table is very impressive and your guests will be delighted. The dining table is not just for dining. At this table is lived. And if you have children, then pure life often rages at the table. 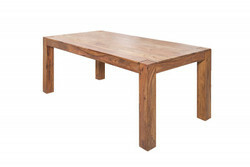 A dining table is a cozy sitting area in every apartment. Whether with four legs or as a pillar table, with glass top or as a rustic solid wood table, with a base made of metal or wood in solid or veneer, the selection is huge. For a particularly cozy dining area, in which it can take a little longer, therefore, a high-quality upholstered seating can be almost as important as a retractable if necessary table - if again long not seen friends or guests come over, we like Welcome. At Casa Padrino you will find fancy furniture with eyecatcher warranty. Idealism and passion are very important at Casa Padrino. If you have questions regarding our offers, please call us on the hotline + 49-201-36577485 and our qualified support will help you in every detail! Guaranteed!